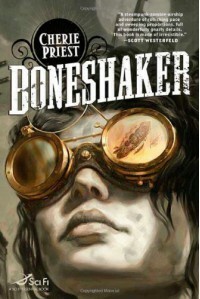 Boneshaker, by Cherie Priest, is my first foray into the steampunk genre and the first book I'd ever read by Priest. While I have a few gripes, I was not disappointed. Boneshaker is a fun adventure, full of zombies (in this alternate history tale they're called 'rotters'), airships, mad scientists, and flawed heroes. I will say this about Boneshaker, though: It's a fun read. There's enough going on with the gas masks and the inventions and a cast of seedy, not-sure-who's-side-they're-on characters that I didn't put the book down for long. 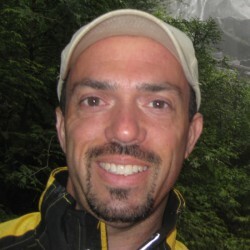 The ending, too, has a bit of a twist, with Zeke's question about his father answered once and for all. Overall, Boneshaker was a good, enjoyable read.